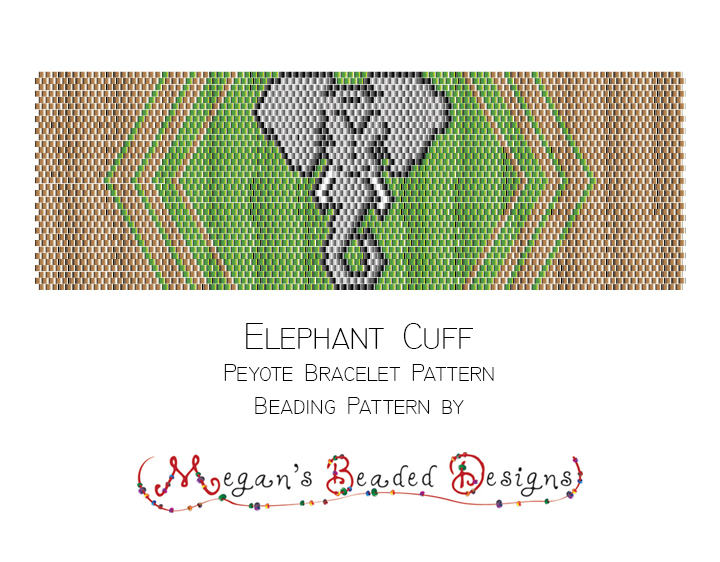 This peyote elephant bracelet pattern features a strikingly regal elephant head design that works up simply as a odd-count peyote or brick stitch project. This listing is for 1 instant download PDF bracelet pattern file. • Realistic thumbnail image of completed bracelet. • Full color chart pattern for easy following. This listing is a pattern only, no stitch instructions for peyote are included. Design your own clasp with either a button and loop, or attach a metal finding clasp. Bracelet measures 6 inches long when created with 11/0 Delica beads, but more or less bead rows can easily be added or subtracted at either end to adjust the length. 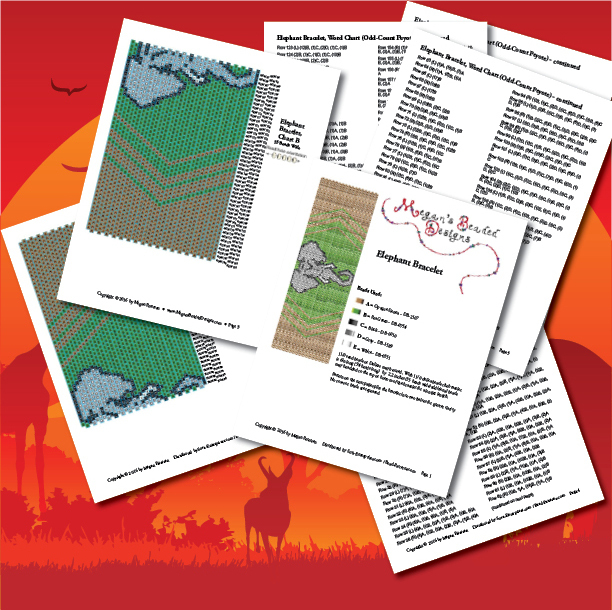 This listing is for a 7 page PDF beading pattern.